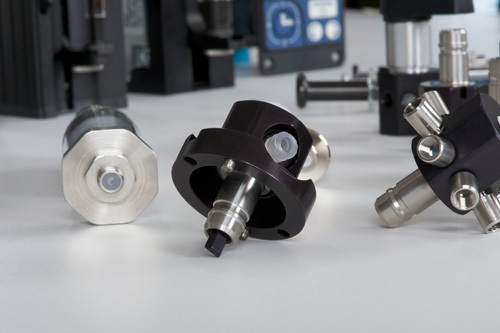 The Hamilton syringe pumps are typically used in liquid-filled sub-system applications to precisely transfer samples and reagents, do bulk dispensing and enable processes where accurate dispenses are a must. Two important qualities of syringe pumps are that they positively displace liquid and are generally easy to service. With minimal pulsation and flow variability, Hamilton smooth flow pumps provide accurate and precise aspiration and dispensing at flow rates as low as 100 nL/minute. ZEUS LT is the lite version of ZEUS. 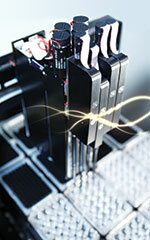 The strongly reduced size allows an easy integration even for small instruments where space is a crucial criteria. Qualitative Pipetting Monitoring™ (QPM) or on-board liquid level detection are essential requirements for manufacturers of analytical instruments and clinical diagnostic systems. 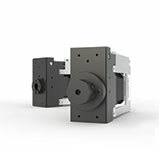 ZEUS LT captures these demands while allowing the freedom to operate with an individual z-axis. Take full command of your diluting and dispensing applications with the Microlab 600 standalone syringe pump. 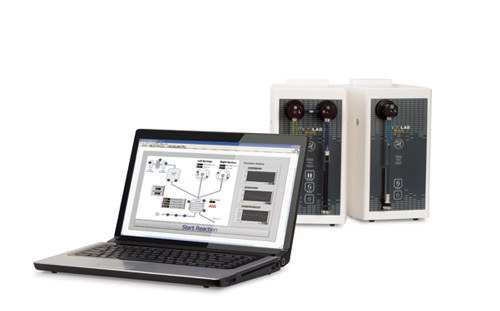 With ethernet and RS-232 communication capabilities, the standalone syringe pump allows you to custom program methods and deploy commands to any instrument on your network from anywhere in the world, giving you unparalleled control of your process. 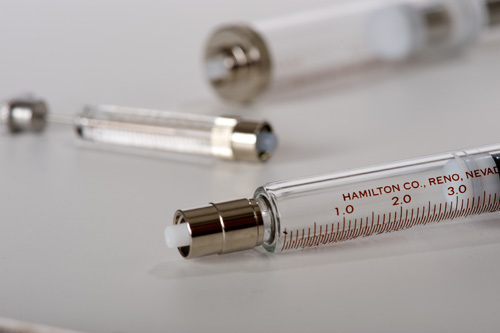 With Clark Hamilton’s invention of the Microliter™ syringe, Hamilton Company has been designing and crafting the finest precision fluid measuring devices since 1953. Top quality materials and skilled workmanship ensure Hamilton syringes consistently deliver the highest possible performance for reliable analyses. Hamilton Modular Valve Positioners are self-contained, bi-directional valve actuators used for fluid selection and redirection. 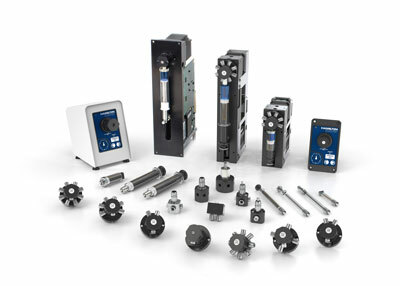 There are two models to choose from, a standard torque valve positioner and a high torque valve positioner. 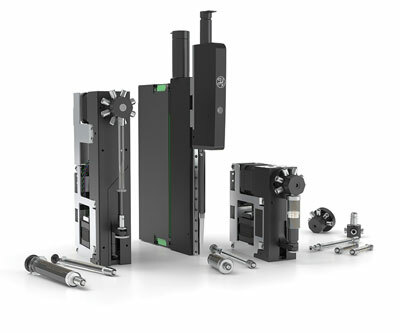 A built-in DC stepper motor ensures accurate valve port alignment and location for optimum fluid delivery. This module can be fitted with a choice of valves to meet even the most demanding application. Hamilton instrument valves have all been thoughtfully designed and expertly manufactured to maximize value and performance. They can be used with automated valve actuators found on instruments such as the PSD pumps and the Modular Valve Positioner or in custom pumps of your own design. Hamilton (HV) Plug Valves provide an economical and flexible method of custom-building a fluid flow control system, from a simple on/off valve to a more complex multi-valve arrangement, using a combination of loop and distribution valves. The small valve body with its chemically inert flow path is ideally suited for low pressure applications. All HV Plug Valves allow you to select and interchange a wide variety of fittings, adapters and tubing, including male and female luers, FEP tubing assemblies, and adapters which thread directly into the valve providing an endless variety of valve configurations for any flow application. Hamilton (HV) fittings and adapters are installed finger-tight (10 ounce inches) and provide a leak-tight seal tested to 100 psig. Hamilton Company offers a wide variety of chemically inert fittings, PTFE tubing, and adapters for fluid handling valves. The fittings are made to connect to ¼-28 and M6 threaded valve ports. 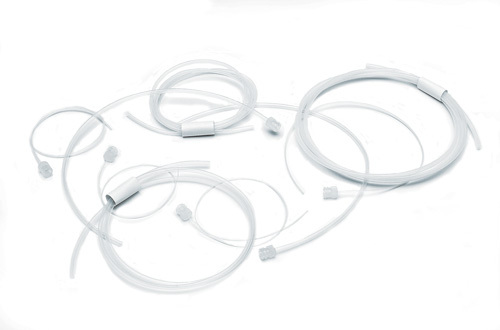 Tubing assemblies are preconfigured with fittings and cut to length. These assemblies come with threaded connections and female luer lock connections. Additionally raw tubing is offered along with fittings and a flanging tool kit so custom assemblies can be manufactured onsite. 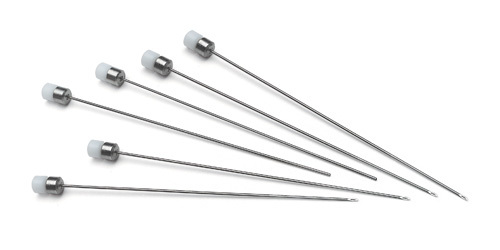 Hamilton Company offers the widest variety of standard and custom needles in the industry. Manufactured from 304SS and with needle gauges from 10 to 34 and lengths from 0.375 to 12+ inches, almost any needle is possible. From pumps to valves to pipetting modules and more, Hamilton Company offers a full line of products for every element in the fluid path. Our liquid handling components integrate seamlessly into your system and ensure the reliable operation of your high-performance instrumentation. Hamilton Europe, Africa, & Asia, Hamilton Bonaduz, A.G.